A Killarney Coroner’s inquest heard that Denise Crowley (26) suffered fatal injuries when she was struck by a car as she tried to cross the road at a notorious spot at Glenflesk to meet her mother for a spin home. The inquest heard both the driver and pedestrian’s visibility could have been restricted by the shadow of a street sign – and a senior Garda said he couldn’t understand how a 100kmh speed limit was in place at such a built up area. Ms Crowley’s mother, Grace, was travelling to Glenflesk at 7pm on December 1 2017 to collect her daughter who was returning home from University College Cork (UCC) when she spotted something lying in the middle of the road. The inquest heard it was a very dark evening with both fog and heavy showers. “Something black was in the middle of the road,” Mrs Crowley told the inquest. Mrs Crowley rang her daughter’s phone at the scene in the desperate hope it was not her involved in the accident. However, a man answered the phone and explained that there had just been a terrible accident. Coroner Aisling Quilter was told by Garda Damien Calnan that the entire incident was caught by CCTV camera footage from a nearby garage. The CCTV footage indicated that the driver, Gerard Hourigan, had just half a second to react to Ms Crowley walking directly out onto the road. Garda Calnan said that Ms Crowley was viewed having got off the Cork bus at Glenflesk and was waiting by the roadside outside a small wall. He said the young woman appeared to recognise a parked car, adjusted the hood of her coat, checked her knapsack and then walked out into the roadway without having looked to her right. She walked four paces into the roadway before being struck by a passing car just three seconds later. The inquest heard that a white van was parked by the roadside which may have restricted Ms Crowley’s visibility up the road. The van driver left the scene after the accident. Numerous witnesses described how the young woman was heavily impacted by the small car and was catapulted into the air. She struck the ground and sustained severe head injuries. Alan Hourigan, who was a front seat passenger in the vehicle which struck Ms Crowley, said it was a dark, wet night and his father, Gerard, had refused to allow him to drive from Cork to Killarney. He said they heard a thud as they passed Glenflesk and then shattered glass came into the car. He thought they had hit a bump in the road but his father was worried the car had just hit someone. “He (father) was stammering and couldn’t speak,” he said. The young man got out of the passenger seat and ran back from the stopped car while his father rang emergency services. He was horrified to realise a young woman’s body was lying in the middle of the road. The inquest heard the car driver was very distressed when it was later confirmed the young woman had died at the scene. The driver, Gerard Hourgian, broke down in evidence as he agreed with the coroner that he had only a split second to react that evening. “Shock – it was literally shock,” he wept. Nico Roche, who was driving directly behind that evening, said he saw a person was peering from behind a parked white van and then stepped out into the roadway where she was struck by the vehicle travelling in front of him. “I didn’t think she was going to cross the road but she did unexpectedly,” he said. Another eyewitness, Conor Hoare, said he suddenly saw shoes flying into the air after the impact. Garda James O’Brien said the CCTV footage indicated Ms Crowley did not appear to have looked to her right. “It does not appear to me that she had any comprehension of the proximity of that car,” he said. Garda O’Brien said an analysis indicated the car involved was travelling at between 51kmh and 60kmh in a 100kmh zone. “It was travelling well below the posted speed limit. The driver had very little time to react to what happened,” he said. He said the local street lighting was also inadequate. The site where the accident occurred at Glenflesk has been the focus of a long-running local campaign for the posted 100km speed limit to be reduced to 60km. Assistant State Pathologist Dr Margaret Bolster found Ms Crowley died from severe head and brain injuries due to a road traffic accident. She also formally recommended that the Glenflesk village speed limit be reduced for safety reasons. Former Killarney Mayor, Councillor Niall Kelleher, said that after years of lobbying for a reduced speed limit, the council were informed by Transport Infrastructure Ireland (TII) that changes to the Glenflesk roadway are now planned. Councillor Kelleher, a longtime road safety campaigner, said that as well as a new reduced speed limit, the council will be allowed by TII to implement traffic calming measures in the area as well. Kerry Co Council voted through the new reduced speed limit at its February meeting. 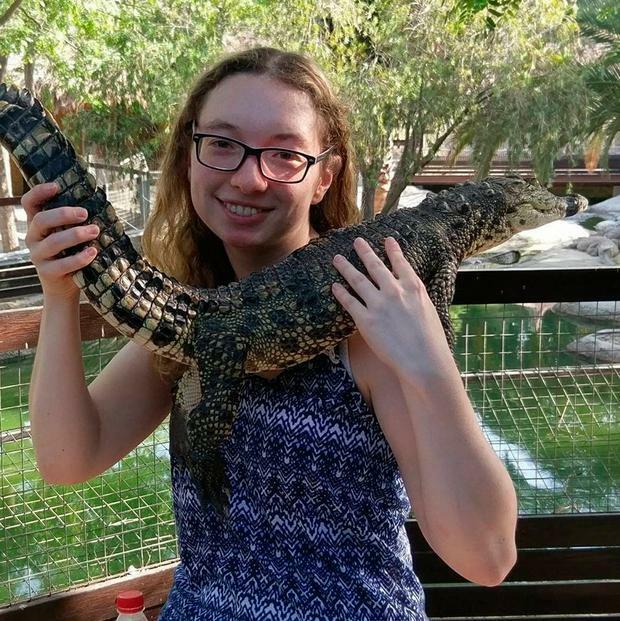 Denise Crowley (26), a UCC computer science student who was named after her father, Denis, was on her way home to the village of Rathmore, Co Kerry, when she died. She was scheduled to be collected at Glenflesk Church by her mother just minutes after the tragedy occurred. Ms Crowley, a former Scoil Phobail Sliabh Luachra pupil, had been a teenage member of the Social Action Group in Rathmore – where she devoted her spare time to visiting the elderly in her community. She is survived by her parents and brother, Shane.